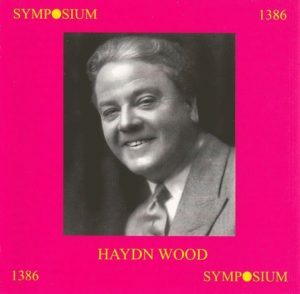 Robert Kay has contacted the society to say he has 300 copies of the Haydn Wood historic performances CD (Symposium 1386). These are the unsold stock from when Symposium ceased trading. Recommended price £8. Please contact us for more details. Free postage UK only.